There are a wide range of career paths for the aspiring professional circus/performing artist, and in this workshop, we will explore some possible steps toward those dreams, as well as practical, effective approaches to applications and auditions. Applying and Auditioning for professional training programs (from short-term intensive workshops to 3 year professional training programs and university B.F.A. degrees) in circus and related performing arts, as well as for professional performance opportunities, can be a successful adventure of personal & professional growth, learning, and network-building. And it can be done with less stress than you may think! Come discuss tips for maximizing your opportunities while taking care of yourself/your student/child. Practice your "asks and intros" with the director of the small youth circus troupe, a professional circus performer and union actor herself, who has mentored her own daughter along with many other students - and their parents - through their early applications & auditions for circus & related professional performance & training programs, with many success stories (Ecole Cirque du Quebec, Circus Smirkus Tour, Pippin National Tour, founding/performing with CirqueUs, etc). Open to Youth through age 22 with interest in professional performing training programs and/or performing professionally AND/OR parent(s)/guardian(s). 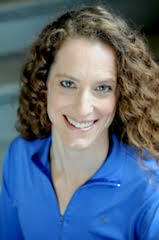 Marci Diamond, the co-founder (along with her daughter Marisa) of Diamond Family Circus www.diamondcircus.com, was a competitive gymnast and studied theater, dance, education and injury prevention, while pursuing a BA from Brandeis and MPA from Suffolk University. Her training includes circus skills, performance, and teacher training at the New England Center for Circus Arts, the San Francisco Circus Center, and Circus Arts Institute (Circus Arts Therapy Training), with alumni of Cirque du Soleil, Eloize, Ringling, and Big Apple, as well as additional training in physical theater and acting for film. A proud member of both the Screen Actors Guild and Actors Equity, Marci has performed in national commercials, films, theaters, tented circuses, fairs, galas, clubs, and was half of the duo trapeze act voted finalist in the USA Today/NCL Epic Star contest. She has taught flexibility/contortion, acrobatics, aerials and performance snd audition skills for all ages and abilities, and has provided training and consultation with many performing arts, youth, and violence prevention organizations, from Alaska to New Zealand, including: the American Youth Circus Organization/American Circus Educators (currently serving on their Social Circus and Health & Wellness Committees) , National Sexual Violence Resource Center, Circus Smirkus (VT), Dance Innovations (NH), Mariana's Dance Studio (MA), Payomet Center for the Arts, The Dust Palace (NZ), Gravity Alternative Movement (MA), Aircraft Aerial Arts (MA), MassHousing, MA Rural Sexual & Domestic Violence Project, and both the School of Public Health and Dance Program at Boston University, among others. Her students have been admitted to prestigious professional training programs (circus schools and BFA programs), and been cast in national tours of theater & circus companies. She loves sharing community, creativity, and connection generated through performing, teaching, and coaching.